On Tuesday President Barak Obama will be judged above all on his record restoring growth and jobs to the people of America. 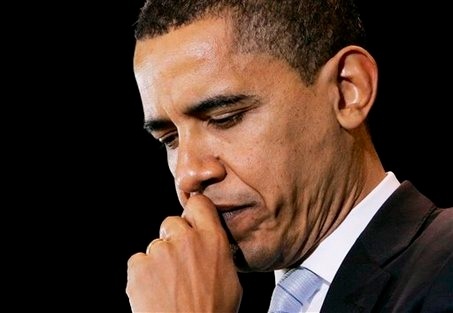 Obama is running neck and neck with Republican challenger Mitt Romney, who has assailed the president for increasing the country’s debt to record levels, for restoring only an anemic level of growth, and for achieving nothing in terms of jobs — the unemployment rate is right where it was when he took office in January 2009. In Ohio, the state where the race could be decided, Michael Houston is the kind of voter Obama is having trouble convincing. The tree-trimmer has been unemployed for six months, and his house is in foreclosure — too expensive for him to live in, and the market too depressed for him to sell it. He doesn’t believe Obama has done enough to help people like himself. And he’s not the only one it seems. Right here in Nigeria – we have our Queen Akasoba Duke-Abiolami who agrees. Queen Akasoba of Kalabari believes the president forgot how and why he got to the White House. “As you may be aware, President Obama’s origins are from Obama (Bakana) Kingdom in Rivers State in the present day Rivers State of the Federal Republic of Nigeria. I highlighted this fact in the media. I recall how I travelled to the USA and intensely campaigned for Brother Barrack Obama. In addition, the thirty three City States of Ancient Kalabari Kingdom, when they learnt of the involvement of Queen Akasoba engaged in intensive prayers to the Almighty God to intervene and help a descendant of Kalabari, our brother Barrack Obama. Our prayers were answered and the rest is history. I had also hoped that President Barrack will occupy in 1600 Pennsylvania Avenue for eight years constitutionally. This was hope, different from practical reality. I had also hoped that Barrack would visit Obama Kingdom to say “Thank you” to his kith and kin who prayed for him and even took pains to literally drum up support for him. I had hoped that the newly elected President Barrack Obama during his visit to Obama Kingdom would see how marginalized, deprived, segregated, and victimized his people are; and that further he would take a trip to “Obama secondary school” which has been in existence for decades in Obama Kingdom of Kalabariland. Whilst at the school he would have seen how dilapidated the school had become over the years and how bravely these poor students have battled against all odds just to be educated. The students of Obama secondary school have to battle on a daily basis because most have no uniforms, no singlets, no shoes, no tables, no chairs, no books, no pens, no pencils, no food, no homes, no cars, no bicycles, they don’t even have access to clean drinking water! President Barrack Obama would have taken a few minutes canoe ride across the river to discover the Obama Oil wells, in existence since time immemorial. 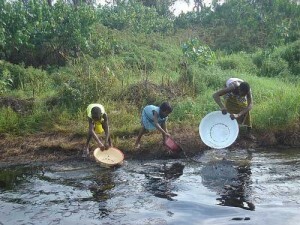 These oil wells are worth several billions of dollars, but due to the brazen exploitation by Oil companies, like Shell, the Citizens of Obama Kingdom and indeed the entire Kalabari and Ijaw lands have suffered unquantifiable deprivation, environmental degradation and untold hardships. It is, however, said that the ‘Natives are simple’. In my considered opinion, simplicity is not stupidity neither is courtesy cowardice nor should long suffering be equated with the ecclesiastical acceptability of inevitability. It is on record that the Citizens of the Niger Delta are the only group on earth who had to carry arms and fight for the right to be educated, the right to learn simple skills like carpentry, welding, baking, shoe making and the right to breathe clean fresh air! We had hoped that Barrack Obama would have visited his suffering kith and kin and by that visit alone beam the searchlight on the unacceptable standard of living in the Creeks of the Niger Delta, one of the world’s largest producers of oil. Did brother Obama visit? No. Did he send an emissary? No? Based on the foregoing, how could one have phrased a request or a plea to these trusting people to support Brother Barrack for another term? Cut a long story short, we believe that Brother Barrack Obama is a good man but political apathy has set in. We may have a Brother in the White House for only a few more weeks. To all intents and purposes President Barrack aint going back to the White House. We extend a hand of cautious friendship and welcome to Mitt Romney. We also categorically categorically say “Mitt Romney do take the right decision on the Niger Delta imbroglio”. interesting! who could have fabricated this one? we all know where obama came from and he never said anything to sugest he have link with nigeria. this story must be the story of the yeaar. It seems this US election is 'show-your-ignorance-time' for some Nigerians. First, it was FFK and his Obama anti-Christ article. Now, Obama is Kalabari. You must not talk to be heard. I laughed so hard while reading this. Whoever this person is, they clearly have mental problems. Obama is from Kalabari. Now I've heard it all. Please let Kenya people catch you. You will speak the truth then. Hahahaha. Too funny. Good laugh.